Oh, of course I looked at this and yelled "CHALLENGE ACCEPTED". Off I trot and take the test. Now, I've discussed my speed reading. Some of my book friends feel exactly like this bird. They ask me how do I even get anything out of what I'm reading if I just skim through the book. Well, first off - I do not skim. I actually do read. And, I do give myself time to consider it - when I am finished reading. 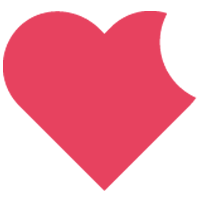 See the beauty of eReaders is you have this item called highlight. I can highlight a section to go back over when I stop to consider what I read. I consider this a win-win. 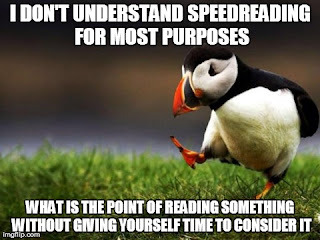 Because I see no harm in reading fast. You can ponder any time you choose to. My friends just love me when we buddy read. Why? That was sarcasm. I actually have almost wore a hole in my tongue refraining from letting anyone know what is to come. I had a friend call me a 'vault'. I wear that badge with honor. 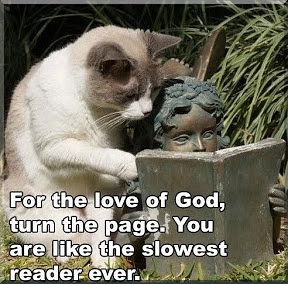 Now, I do think the above picture at times when buddy reading. When I participate in group read-alongs ], I am the worst at staying with the group. I'm giving it a try with the Sawyer Bennett Ryker read along (see blog Read Along Blog Info - click here). Epic fail. Day one and already I'm to Chapter 6. Started another book just to slow me down. Thank goodness we aren't together in person. I'd be like this cat. Hey you say - so what did you score? I'll share with you. I was surprised my older brain actually reads and comprehends as well. 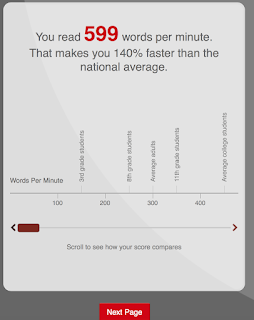 The test goes on to tell you how long it would take you to read a few classic books. No, War and Peace isn't on my TBR shelf, but interesting to know I could do it in 16 hours. Here we part. Go take the test. Share your score in the comments below. 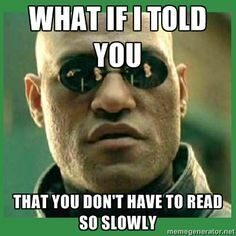 Or your thoughts on reading fast versus reading slow.